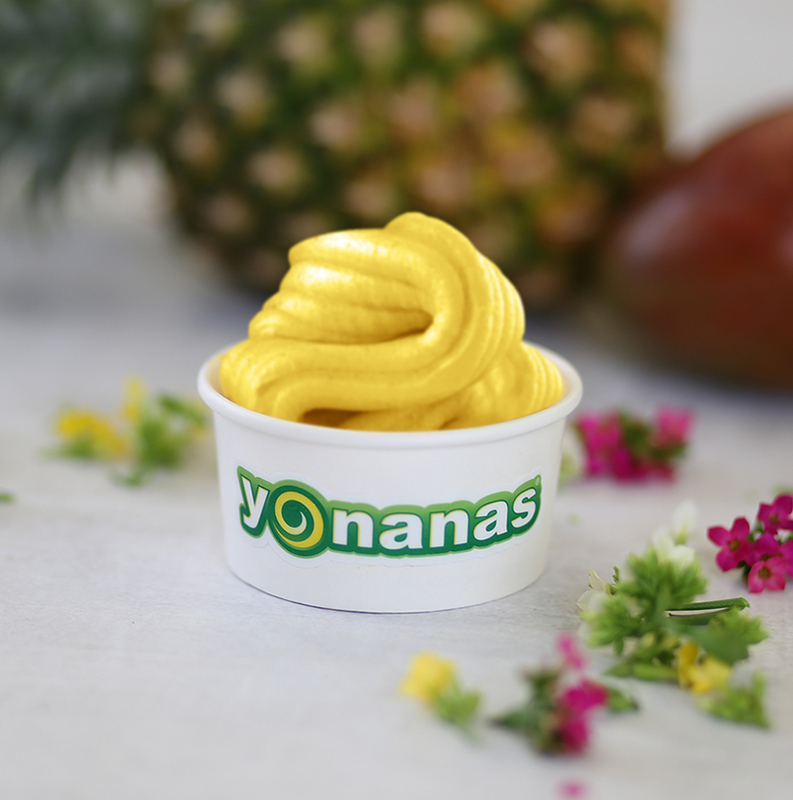 Transform frozen fruit into Yonanas. Eating fruit just got easier. 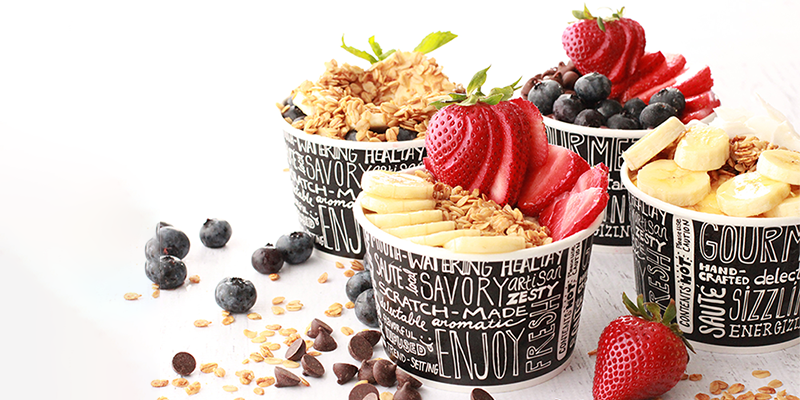 Concessions around the world are experiencing a paradigm shift to healthier snack options. 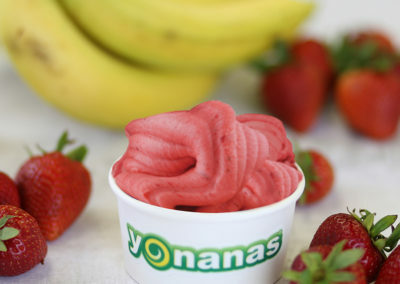 Yonanas meets this demand as a revolutionary way to Eat More Fruit! Our patented program is truly unique – transforming 100% frozen fruit into a delicious, grab-n-go snack without dairy, fat, or added sugar. 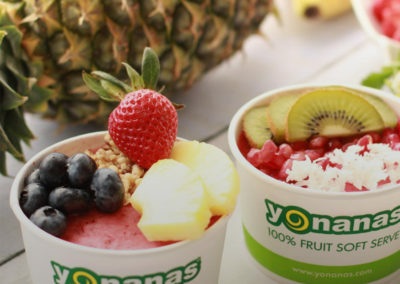 Serve a multitude of menu options to fit any appetite including Yonanas soft-serve, meal repalcement bowls, and toppings ranging from healthy to decadent. This is the ultimate grab-and-go healthy snack or meal replacement for any time of the day! 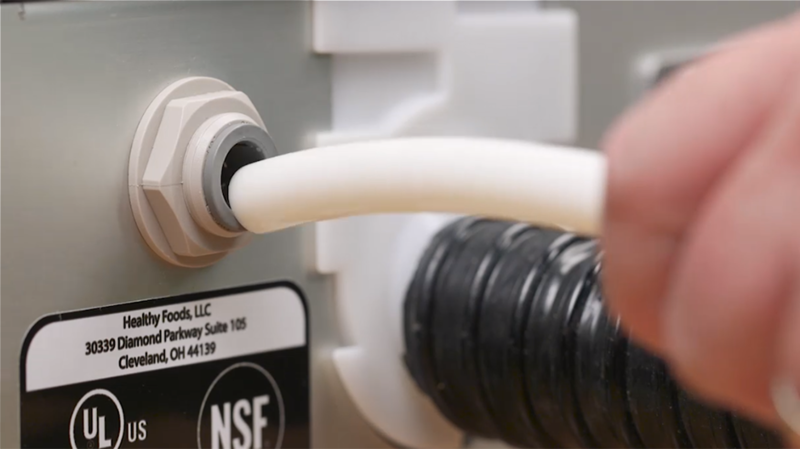 Our team will perform installation, train your staff and provide on-going customer support. 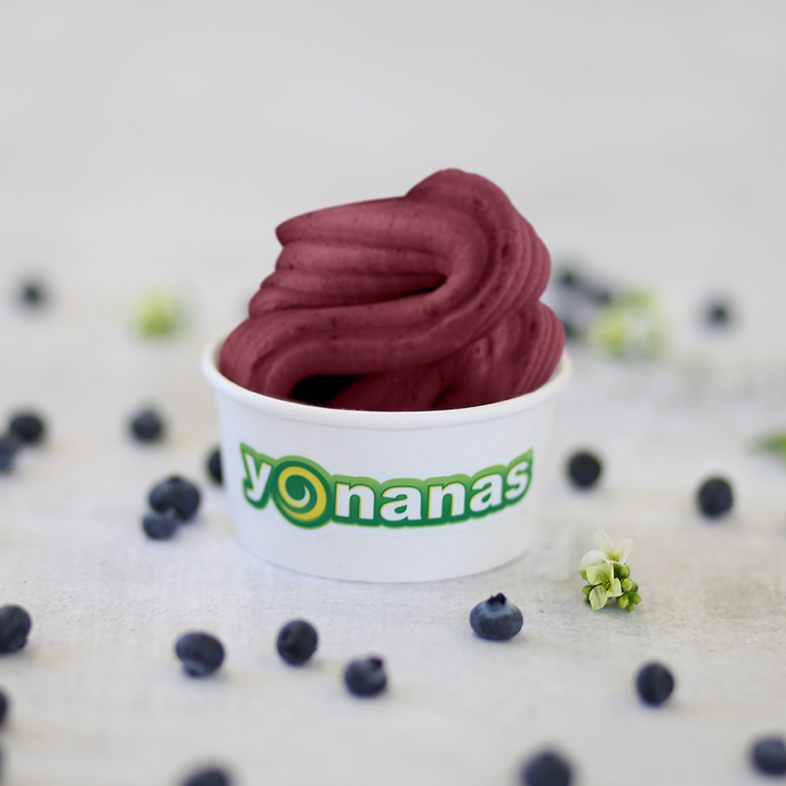 The Yonanas machine was developed with a priority on sustainability & efficiency. 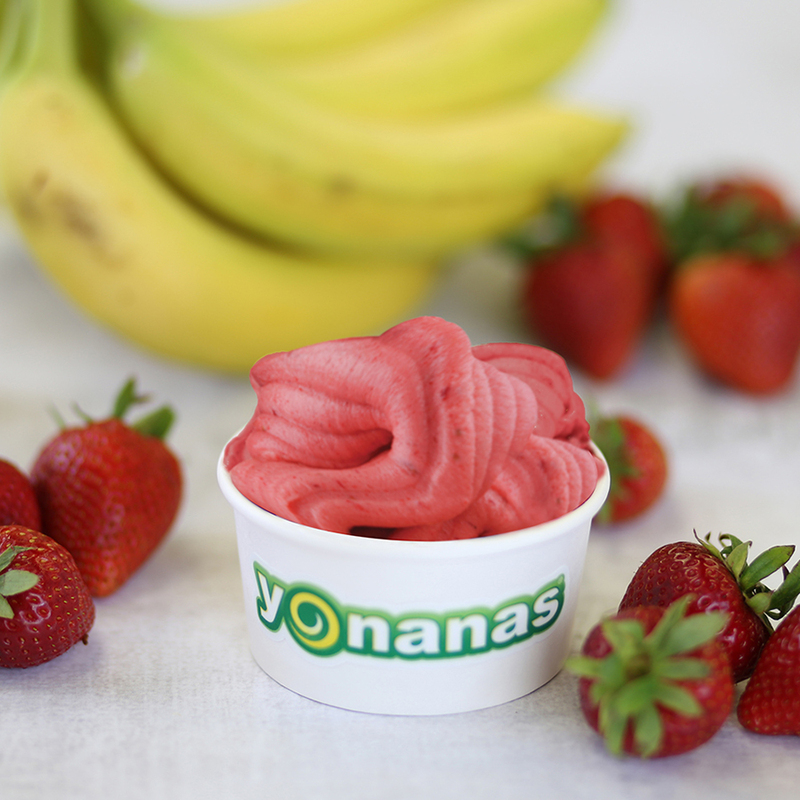 Making a Yonanas takes only moments and cleaning is a breeze. Both actions are automated and occur with a simple push of a button in a self-contained environment. Reusable fruit tubes are used to minimize costs & limit waste. Our patented program is the only one like it on the market and we can customize the machine configuration to suit your venue. 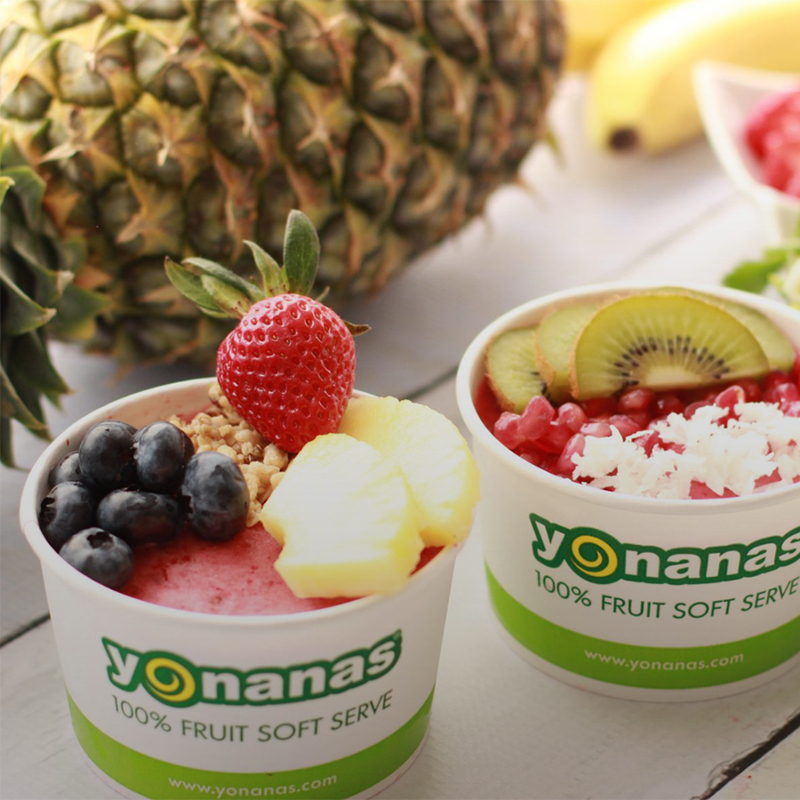 The Yonanas Commercial machine complies with all NSF/ANSI 8 applicable requirements and all UL requirements for commercial food prep machines. No dairy. No fat. No added sugar. 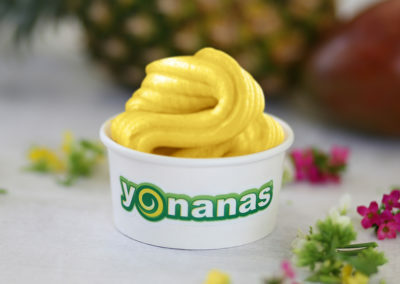 Yonanas is the perfect snack, meal replacement bowl, or healthier dessert alternative. 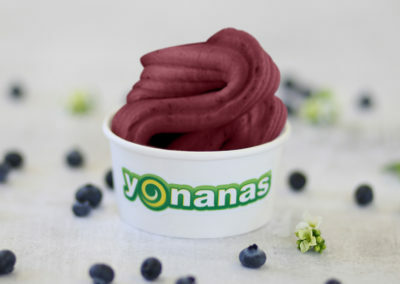 *Serving size will vary due to the nature of the Yonanas machine. 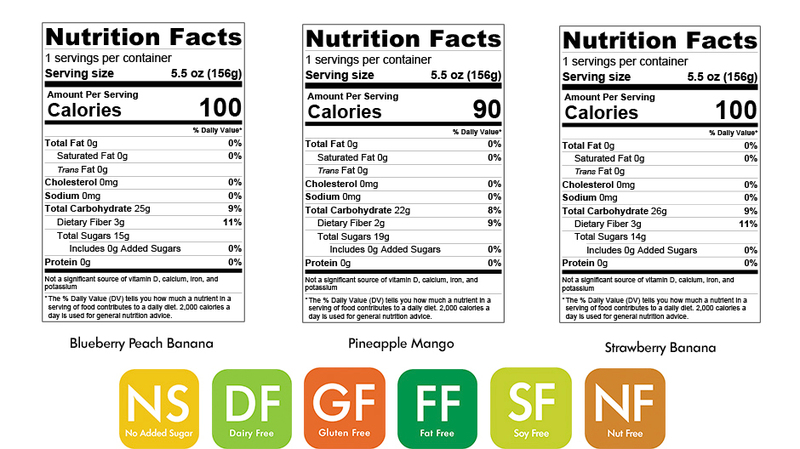 Nutritional information approximates as closely as possible to the serving size. 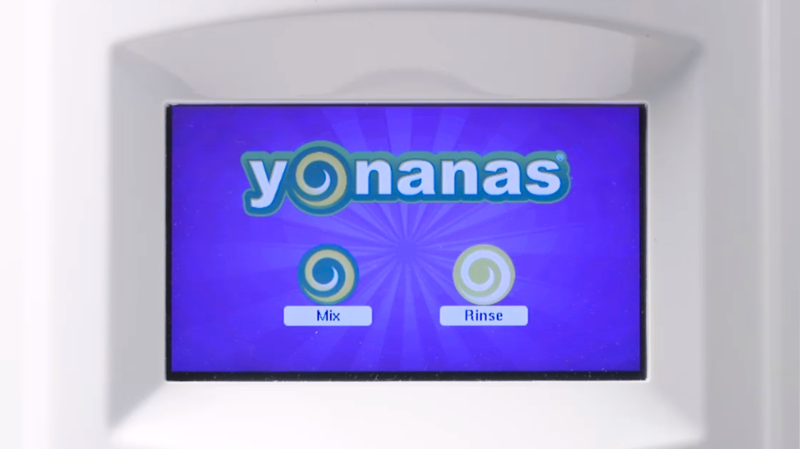 From a stand-alone kiosk to an integrated solution in your current food service establishment, our commercial Yonanas machines offer an innovative and flexible way to increase your food and beverage sales. Yonanas is available as a complete, turn-key platform that includes equipment, training, and marketing collateral. 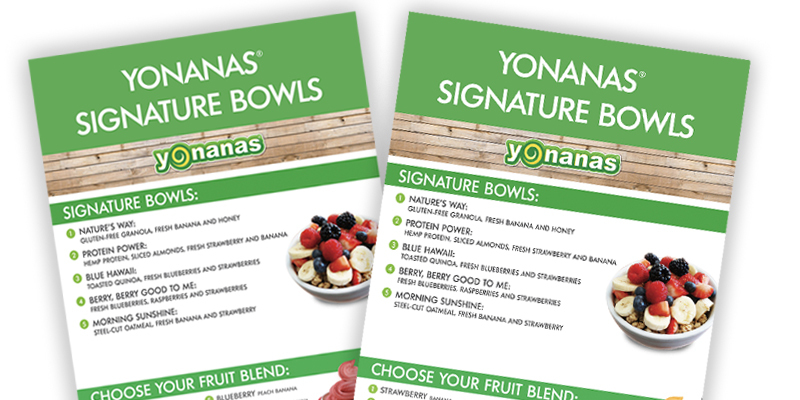 Brand signage and menus are provided to each Yonanas dealer upon launch and with continual development. 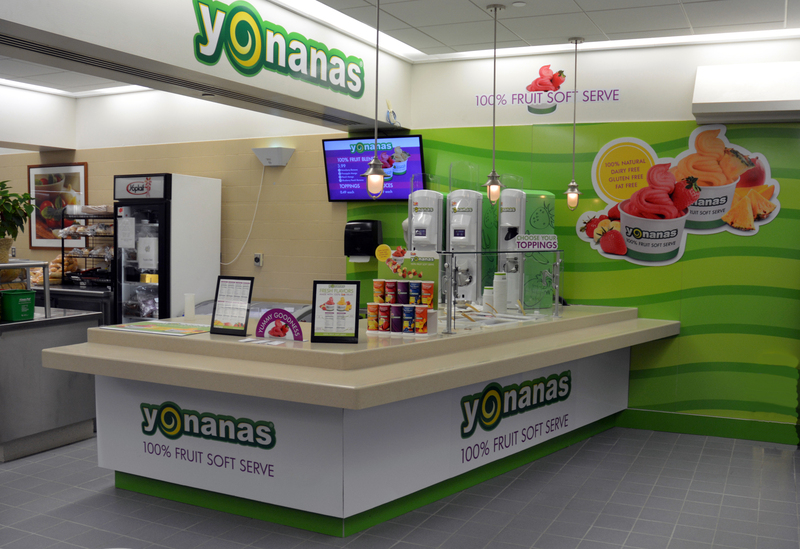 Based on your venue, we can help customize the Yonanas Commercial configuration that works best for your needs. Add a Yonanas Commercial machine to your lunch spot, coffee bistro, gym protein bar or froyo shack. 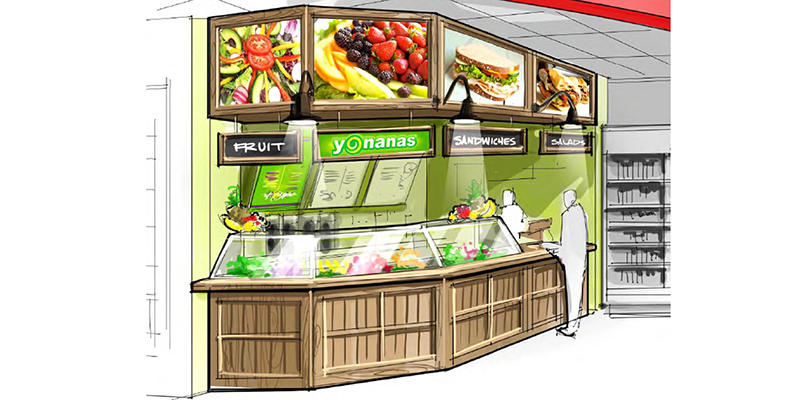 Build out a custom Yonanas Kiosk at an airport or add a Yonanas storefront to your foodcourt.